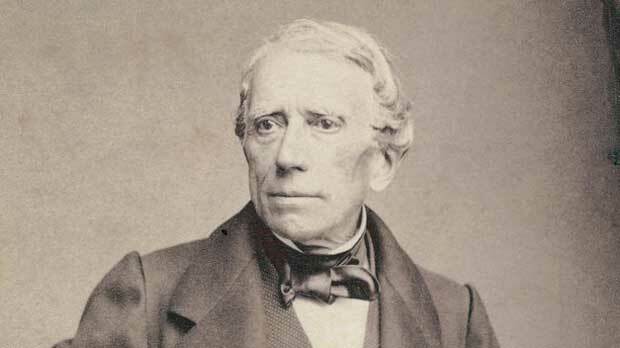 With captivating stories that have filled joy in the hearts of millions of children worldwide time and time again, Hans Christian Andersen is remembered as one of the most creative and widely read fairy tales author to live. Although Andersen was also a novelist, poet, playwright and essayist, his fairy tales became his identity and his greatest contribution to world literature. Andersen was born to a low class poor family on April 2, 1805 in Odense, Denmark. His father was a shoemaker and his mother contributed to the family income by washing clothes of other people. Being an only child, Andersen was spoiled by his parents who allowed him to develop his imagination by making him his own toys. Hans grew up with a love for singing and dancing. His tall and bony figure made him appear a little awkward. Hans, however, least cared about this and stayed engrossed in his colorful imagination. Andersen’s father died when he was eleven. Three years later, Hans left for Copenhagen with an ambition to join the Royal Theatre and become a stage artist. Although he was not able to make it to the Royal Theatre without references, Jonas Collins, a director of The Royal Theatre supported him by arranging a scholarship to obtain basic education. However, Andersen never proved to be a good student and was weak at spelling and writing well. This is probably why his writing style was simplistic with everyday spoken language. After seven tough years at school, Andersen graduated from university in 1828. His first poem The Dying Child was published in the Copenhagen Post a year before his graduation. Travelling through Italy in 1833 and his own life inspired The Improvisatore (1835), Andersen’s first novel to obtain international acclaim. The success encouraged Andersen’s literary carrier and he wrote five more novels which unfortunately did not do well since Hans was a better playwright than a novelist. Other than his cherished fairy tales some of his more surviving contributions to Danish literature include an autobiography and travelogues. Fairy tales were Andersen’s forte. Some of his most defining tales were written between 1835 and 1850. These included the famous The Princess on the Pea (1835), Thumbelina (1835), The Steadfast Tin Soldier (1838), The Snow Queen (1844), The Darning Needle (1845), The Little Match Girl (1845), and The Shirt Collar (1848). Andersen’s tales are full of emotions and heartbreaking ordeals his characters go through before settling in a happily ever after. The world around the character is often cold and cruel. It is believed, many of Andersen’s tales carry in them an autobiographic element. The Ugly Duckling for example is the story of an ugly cygnet who transforms into a beautiful swan like Andersen himself who suffered a childhood of poverty and unattractiveness but later became a successful person. His stories also reveal his distrust for authority, something he developed during his struggling years in Copenhagen. With a writing style and language focusing on child readers, Andersen’s fairy tales revolve around adult themes and are therefore enjoyable by both. Before his death on August 4, 1875, Andersen was a renowned writer. He was regarded as a national treasure by the Danish government and also given a stipend. A statue was erected in Rosenborg Garden, Copenhagen to honor this legendary writer.